Contrary to popular belief, a healthy lunch doesn’t necessarily mean a home-made lunch. Being healthy has never been easier especially as we invite the warmer months along with the fresh in-season produce. 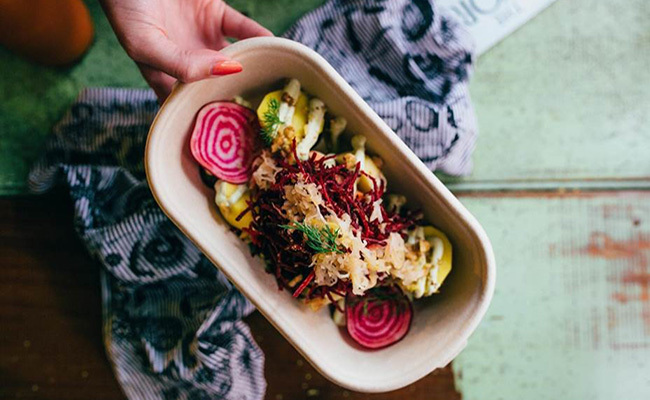 Although salads and wraps are a staple, here are a couple of healthy lunch picks that will make your lunch break the highlight of your day – if it isn’t already. Tofu Burger $16.50 – Grilled tofu, mushrooms, onion, tomatoes, avacado, cucumber, home-made hummus and green salad on focaccia bread. 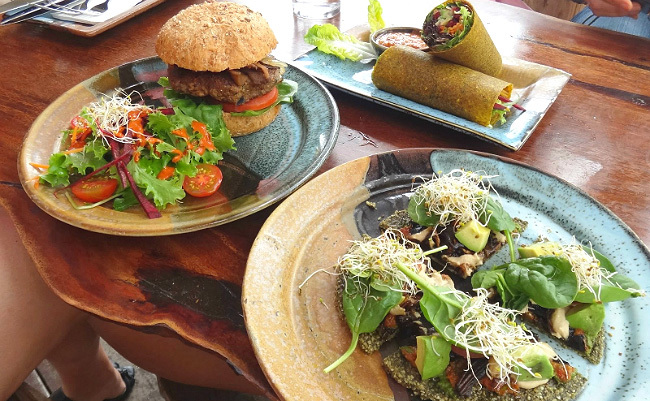 Perfect for dine in or takeaway, Raw Power Café is the hub for everything vegetarian, vegan and gluten free. Misters offers an array of cuisines which will make your lunch break something to look forward to. Perfect for a takeaway meal, Misters has an online ordering service so you can pre-plan your meal the night before. 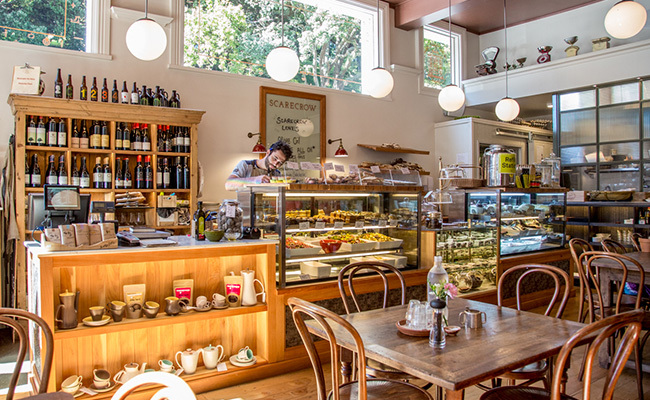 Serving up the best seasonal ingredients for its Mediterranean flavours, Scarecrow is known for its relaxing dining oasis in the heart of the city. Seafood Ramen $13 - traditional Japanese noodle soup served with shrimp, squid and mussel. Cosy, authentic and flavoursome, Mentatz serves up Japanese cuisine the way it should be – healthy, delicious and satisfying. 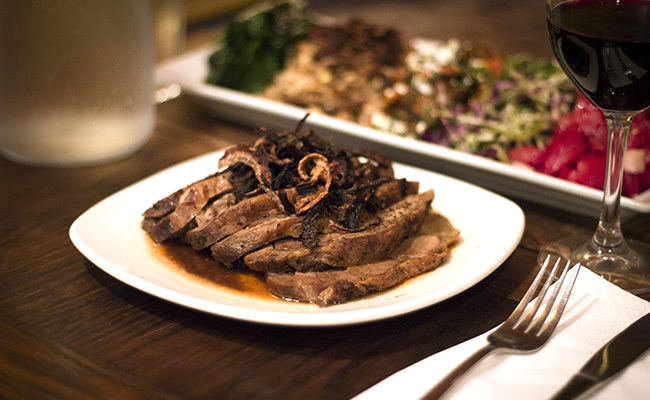 We couldn’t think of a more perfect meal for you and your co-worker than at Ima cuisine. 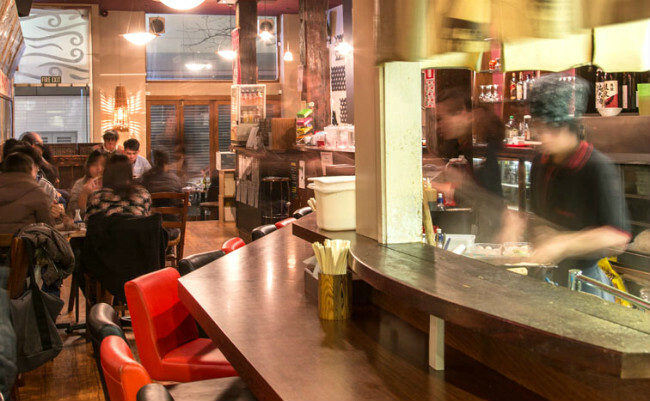 This middle eastern gem, is great for a sit down meal, while you are surrounded by a spacious and comfy interior. 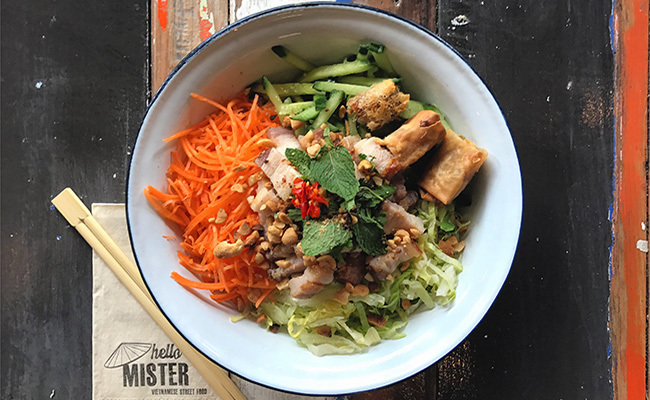 Great for both sit downs and takeaways, the modern Vietnamese café promises the freshest ingredients, great service and a satisfying meal that will keep you coming back time and time again.